Imported from America, the tradition of Halloween has become more and more popular in Japan of late. And have a Happy Halloween, everyone! Japanese-style Halloween costumes on parade (literally) in the city of Kawasaki this past weekend. Two recent studies point to solid evidence that stress truly is bad for the heart. For instance, one of the studies found that "first-time heart attack patients who returned to chronically stressful jobs were twice as likely to have a second attack as patients whose occupations were relatively stress-free." And now the obligatory plug for green tea (obligatory, but also relevant). 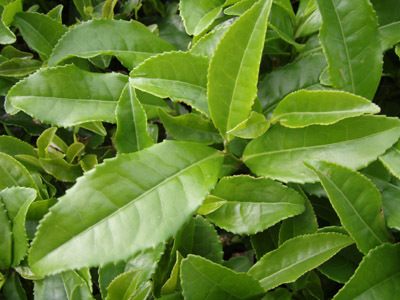 In addition to its many disease-fighting properties, green tea also has theanine, which has proven mellowing properties. Not only that, but green tea also combines theanine with caffeine in just the right amounts to improve focus. Dump that schmuck. Abusive relationships are a major cause of unhealthy stress. You don't have to enjoy the traditional Japanese bar snack of salted squid guts called shiokara to appreciate the tapas-style offerings of Japanese pubs known as izakayas. At the Nihon in San Francisco's Japantown. Slate.com has a neat slideshow of footbridges. It may sound boring, but it's not. Some of these footbridges look downright inviting. I wish I were on one right now—especially the first one (shown below). Once the first picture in the slideshow comes up, click on the ">" to advance through the slides. 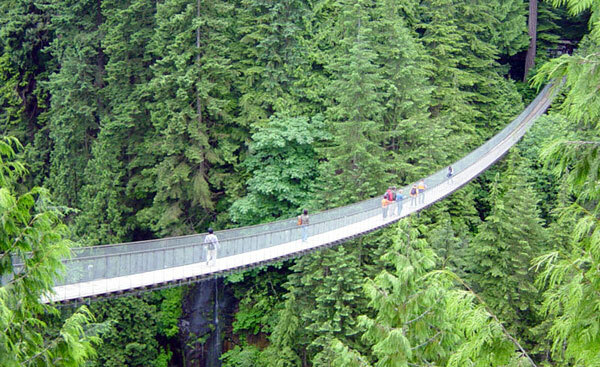 Capilano Bridge in North Vancouver, Canada. For some, it could be terrifying. For others, a real blast. It looks like a cross between a shoe horn and an electric pencil sharpener. Here's a wonderful clip from the film Tokyo-Ga, in which Wim Wender documents his trip to Japan to explore the world of legendary Japanese director Yasujiro Ozu. This clip features pachinko. It has no narration or dialog, and none is needed: It shows pachinko afficionados in a trancelike state of mu (nothingness) before their pachinko machines. Fascinating—and a little sad at the same time. The character for mu (無) is also the lone epitaph on Ozu's gravestone. Researchers at the University of Alabama at Birmingham have found the secret ingredient in garlic that makes it good for the heart—allicin. Allicin is also what makes your breath smell so bad after eating garlic. 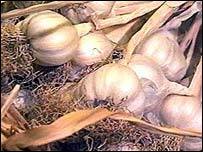 This could also mean that non-smelly garlic products aren't as good for you as whole natural garlic. Which just goes to show that supplements and extracts and whatnot just can't beat the real thing. It's the same as with green tea: When it comes to understanding why things like green tea and garlic are good for us, science is only beginning to scratch the surface. So it only makes sense to take the whole package, instead of a pill containing the one or two substances we think are what's so good for us. After all, who are we to second-guess Mother Nature? Garlic's distinctive smell is a sign of how good for you it is. Americans are drinking themselves fat, say nutritionists. Soda pop and other sweetened drinks account for 10 percent of the calories in the American diet. And if you want to take off even more pounds, then why not switch from coffee to green tea? Replace this with 100 percent calorie-free and 100 percent natural green tea—hot or cold. For iced green tea aficionados—instruction on how to make crystal-clear ice. By the way, if you liked iced green tea you might want to try Mellow Monk's Mizudashi, cold-brewed iced green tea pouches. I've made a couple of new additions to our page of frequently asked questions (FAQs). Click on the questions below to read the answers on the FAQs page. Will I be able to taste the difference between Mellow Monk and other green teas? Why isn't Mellow Monk tea more expensive? A close-up of an actual tea plant in one of our grower's orchards. Japan's Osaka Kaiyukan Aquarium is one of the world's largest and is considered Japan's best. The aquarium's centerpiece is the Pacific Ocean tank, whose star is Kai-kun, a 16-foot-long whale shark. Kai-kun shares his tank with a majestic manta ray known for his acrobatic swimming style. A postcard showing the massive multistory size of the Kaiyukan's largest tank. Kai-kun, the aquarium's star attraction. U.K.-based designer Bethan Laura Wood has come up with teacups with an invisible pattern inside that gradually appears with repeated use. So if the pattern takes too long to appear, it means you're not drinking enough tea! I assume that green tea would produce a different-colored pattern than English black tea would. ... but with repeated use, a pattern gradually appears. Some Japanese housewives are getting into online foreign-currency day trading and not telling their husbands about it when they lose a bundle—or make a bundle, either. 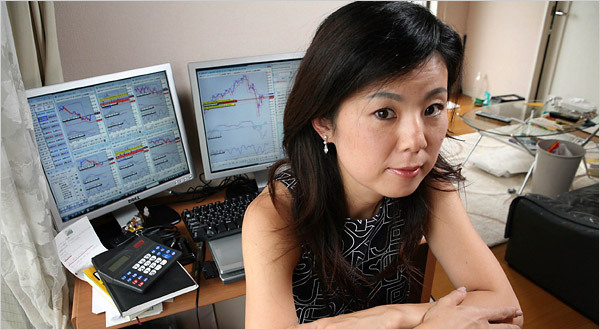 This 41-year-old mother of one says she's earned $150,000 since she started foreign-exchange margin trading last year. "24-Hour TV" is a national telethon held every year in Japan to raise money for charities. From this year's telethon—a portrayal of the "Senju Kannon," the thousand-armed goddess of mercy. The theme of the segment in which this particular 6-minute performance was given was "silent performances." No digital effects are used, just clever choreography and camerawork. UPDATE: It turns out there is a reason the performances were silent—they were by deaf performers. The Kannon piece was performed by the China Disabled Persons' Performing Art Troupe. What's more, this performance on the telethon was such a hit on TV that the troupe is currently on tour in Japan. You can now get your very own Mellow Monk Mug. The Mellow Monk Mug, perfect for green tea. Cell phones shaped like river rocks. A lamp with a built-in catchall tray at the base. Those are just some of the ideas of Japanese designer Naoto Fukasawa (not to be confused with Yukichi Fukuzawa), whose works will be among those on display next week at Connecting '07, the conference of the World Design Congress. Raises levels of good cholesterol (HDL). found that as little as 100 milligrams of theanine enabled people to focus better on complicated tasks, but only when consumed with 60 milligrams of caffeine—a combination found in roughly four cups of green tea (which contains half as much caffeine as black). The news just keeps getting better for green tea drinkers, so keep on brewing, everyone! If that were green tea it would be even healthier. The safety of food imports is an issue that has been much in the news of late. Last week, the U.S. House of Representatives issued a report stating that Japan could serve as a model for the revamping of America's system for inspecting imported food. At a home care and rehabilitation convention held in Tokyo recently, the biggest crowds were drawn by the high-tech robots that companies are developing to help care for seniors. And now for something completely different: The country indie-bluegrass duo Uncle Monk is in no way related to Mellow Monk—but their music is pretty cool. From a Japanese TV show: a 10-second time-lapse video clip showing 35 years of high-rise construction in the Shinjuku district of Tokyo. All that ooh-ing and ah-ing is from the show's guest stars. Mellow Monk has unveiled a new look. Our tea is still exactly the same—imported directly from the same family-owned and -operated growers. But the website has a sleek new look befitting the quality of that wonderful tea. We've also increased your shopping convenience in response to your requests: Mellow Monk now accepts direct credit card payments. That's right—you don't have to go through PayPal anymore (although you still have that option). Refresh the page (Ctrl + R on a PC or command + R on a Mac). If refreshing the page doesn't work, you probably need to clear your browser's cache. If you're using Internet Explorer on Windows, go to Tools → Options. On the "General" tab, under "Temporary Internet files" click the "Delete Files..." button. If you're using a Mac, for Firefox the path is Firefox → Preferences → Advanced → Network. Under "Cache" click the "Clear Now" button. We hope you enjoy the new look and continue enjoying our tea. If you haven't had Mellow Monk Green Tea yet, why not give us a try? In the highly unlikely event that you're not satisfied, our tea is 100 percent guaranteed. Our new website. Isn't it cool? Why do so many Japanese want their weddings overseas? In contrast to America's "destination wedding," whereby the happy couple invites dozens or even hundreds of well-wishers to a foreign locale for their wedding, a bride and groom-to-be in Japan will often opt for an overseas wedding as a way to escape the tradition of having to invite hundreds of relatives to their nuptials. By having their wedding in Paris, this young couple is able to get away with inviting only three people—instead of 300. If you like ramen, then you'll love The Ramen Blog. News from the Ramen Blog: Beef bowl chain Yoshinoya acquires Osaka-based ramen chain Ichiban Honbu. A lot of people are surprised to learn how high in calories many of the bottled green teas and coffee-chain green tea drinks really are. 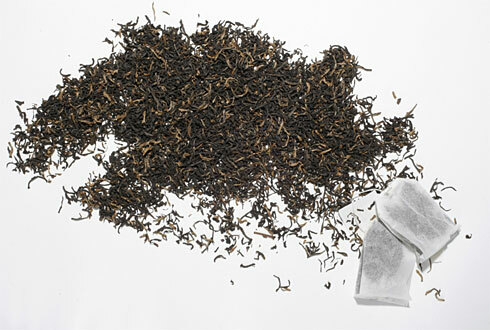 Authentic loose-leaf green tea like ours, on the other hand, gives you all the health benefits but with zero calories. 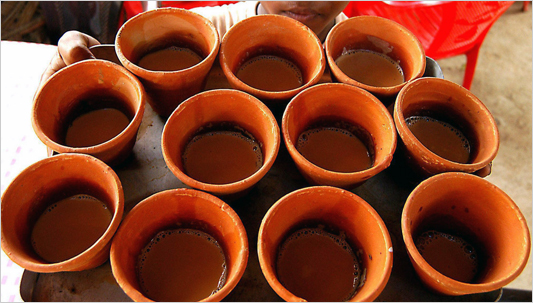 Authentic chai tea in India. This is a lot healthier (and lower in calories) than the typical American version. Still, the milk in chai negates the health benefits of the tea. If you're a guy who has picked up some Japanese, you should know whether you talk like a girl. "Omigod, your, like, Japanese is so awesome, you know?" Green tea tops this list of eight foods that can help improve your skin. Drink two to four cups of green tea per day. "It has a high content of flavonoid/catechins [which can help to strengthen collagen] and of theanine -- an amino acid associated with relaxation and cortisol control. Too much cortisol can induce disruptions in blood sugar and inflammation," says Shawn M. Talbott, author of Cortisol Control and the Beauty Connection (Hunter House, 2007).